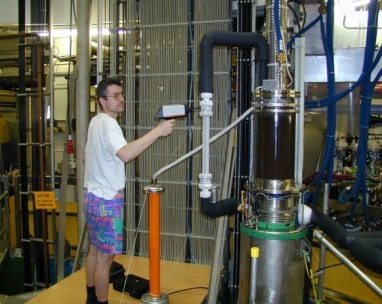 The Cryogenic High Voltage Lab was established for supporting high voltage activities of superconducting fusion magnets which is still one field of activities. 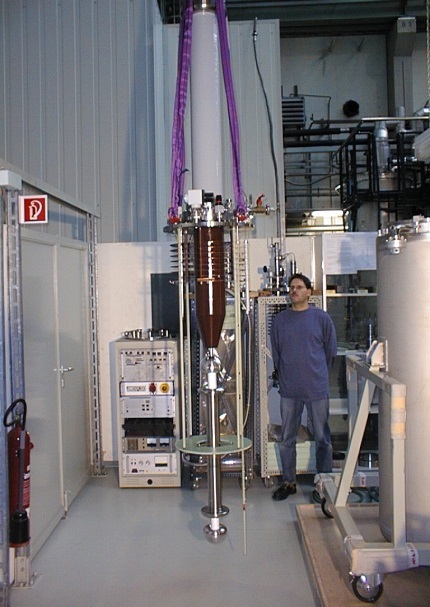 Since the 1990s high voltage tasks for cryogenic power engineering were started. Collaboration with external partners or testing for industry is possible on request. For our Main equiment klick here. Dielectric properties of gaseous, liquid and solid dielectrics were investigated. 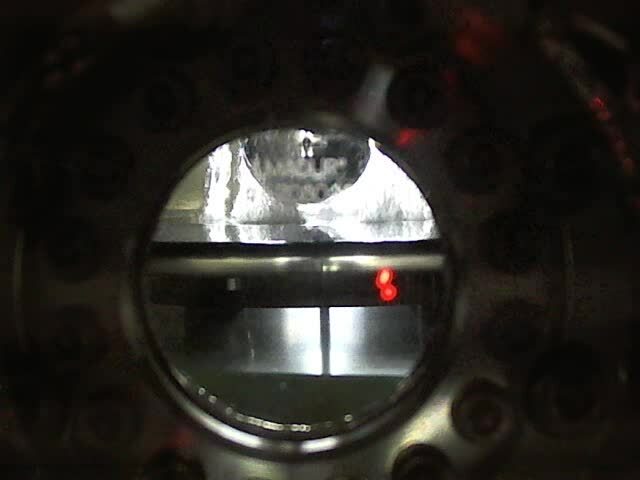 Present (2016) activities are investigation of flashovers on liquid nitrogen to PE boundaries. S. Fink and V. Zwecker, "Flashover voltage of PE300 insulators embedded in liquid nitrogen with and without gas bubbles," 2016 IEEE International Conference on Dielectrics (ICD), Montpellier, 2016, pp. 1040-1043. Sphere to plain breakdown voltage test setup with bubble generation within liquid nitrogen. Sphere diameter is 50 mm. Adjustable gap up to 96 mm. 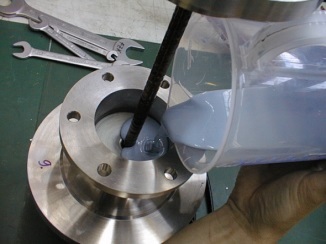 Cryostat diameter is 650 mm. 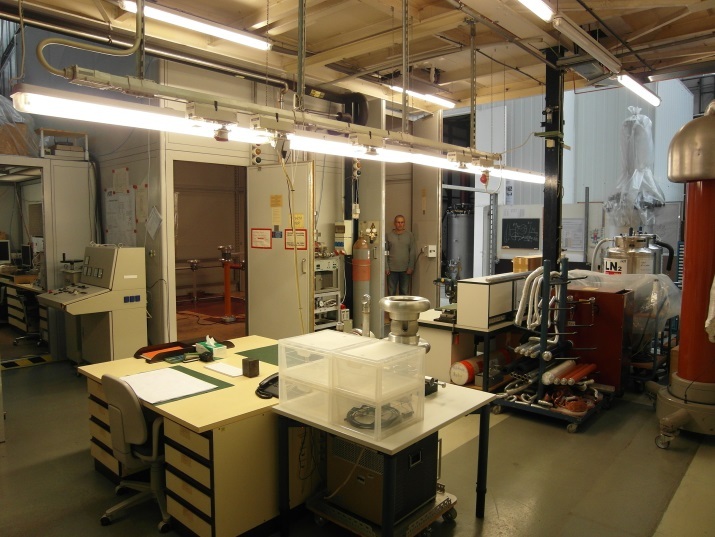 The Cryogenic High Voltage Lab has a long tradition in development and production of a low number of pieces of high voltage components for superconducting fusion magnets (e. g. Euratom LCT coil, Polo Coil, ITER TF Model Coil). 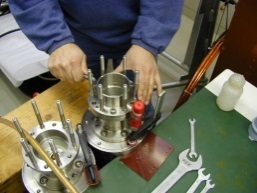 Also for ITER developments of prototype were done in collaboration with industry in order to ensure a production process which is compatible for a larger number of pieces. Cryogenic Components for power engineering were also developed in cooperation with industry (e. g. superconducting fault current limiter). 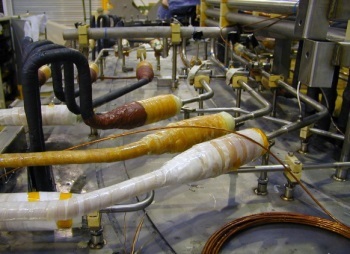 In 1996 a cable test facility was build up in order to test 1 m long power transmission cable samples in liquid nitrogen for voltages up to 200 kV. Meanwhile this facility is used for testing cables for other manufacturers (usually unpublished). Even simple RLC circuits can have (frequency dependent) higher internal voltages than the outer terminal voltage. Frequency depending internal voltage distribution is an important issue for the design of large high voltage apparatus. 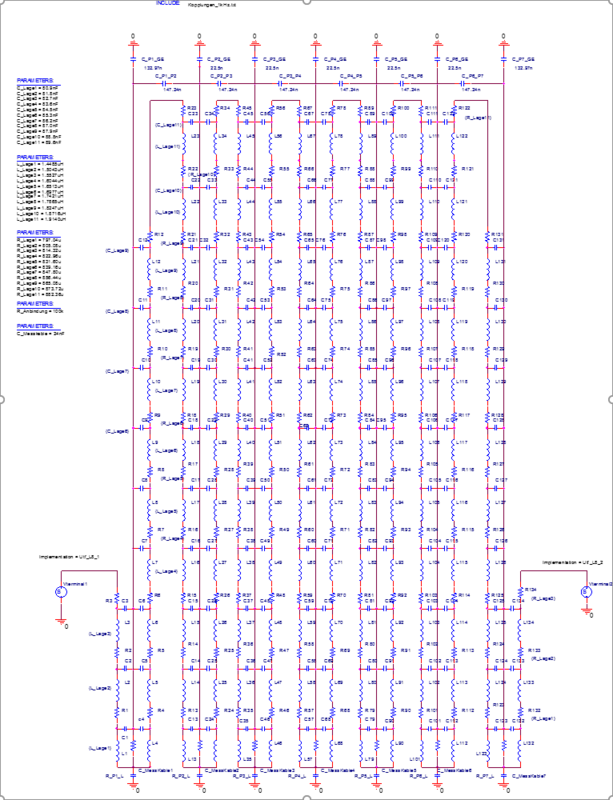 For superconducting magnets and magnet systems the voltage distribution of the coil system and within different magnets (ITER TF Model coil, ITER CS Model Coil, ITER TF, ITER PF3, ITER PF4) were calculated with network calculation program (PSpice) in frequency and time domain. 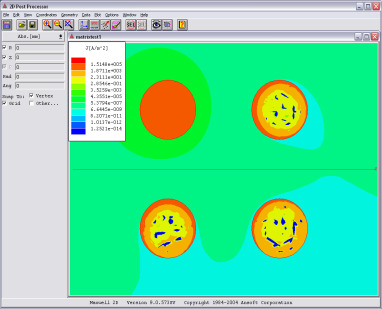 Coil parameters are calculated analytically or by 2D-FEM. 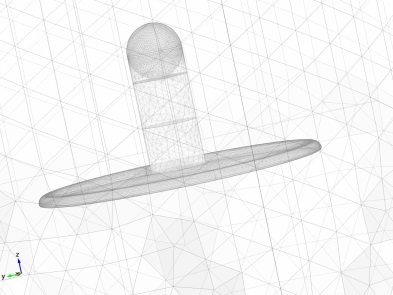 Electrostatic field calculation can be performed in 2D (BEM and FEM) and 3D (FEM). 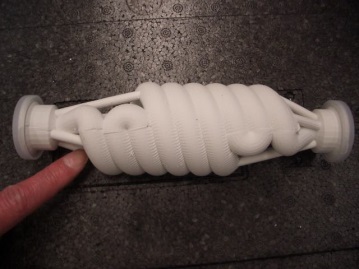 1 m power transmission cable below a cryogenic 200 kVrms bushing. 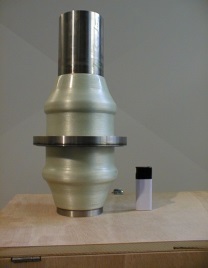 Cryostat diameter is 500 mm (right side). Mobile equipment makes it possible to perform on site high voltage tests. 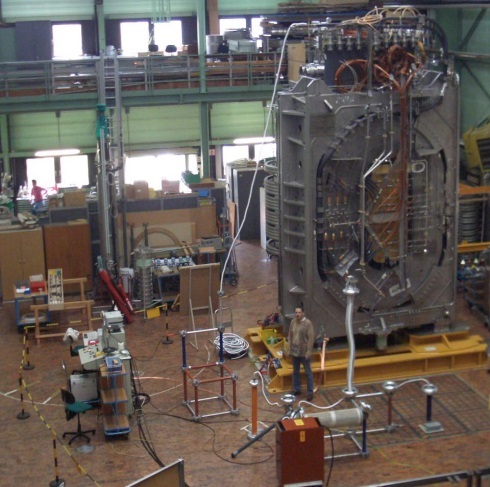 Especially testing of superconducting large fusion magnets in a special building of KIT-ITEP (TOSKA) was supported. Equipment for high voltage testing with direct, alternating and impulse waveform is available in the Cryogenic High Voltage Lab of KIT-ITEP. Voltage, current, partial discharge, and Schering-bridge measurement can be performed. 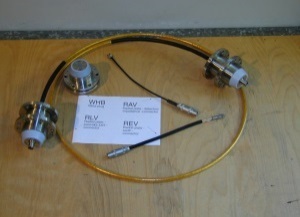 Several cryostats for liquid helium and liquid nitrogen with diameters up to 650 mm and for different pressures are available. Liquid helium and liquid nitrogen supply is permanently accessible.